The Japanese 'Cycling Army' in Singapore, with the Seletar Naval Base blazing in the background, early February 1942. 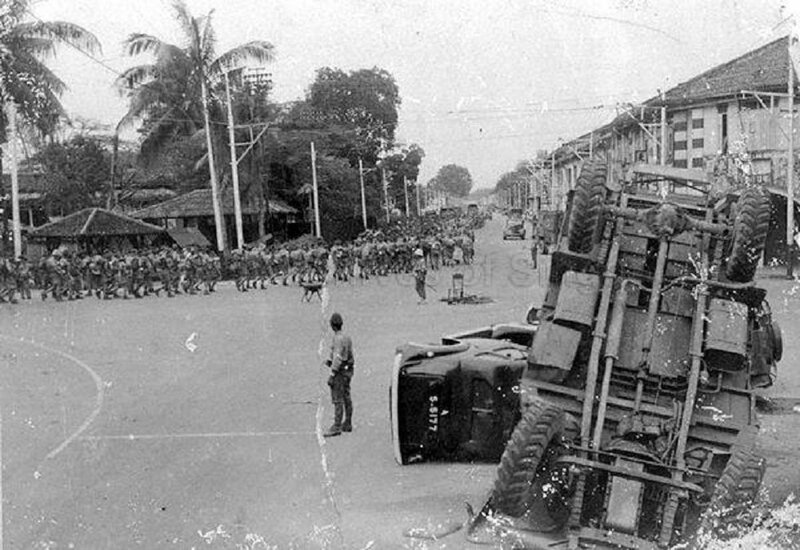 Image from the David Ng Collection, courtesy of National Archives of Singapore. 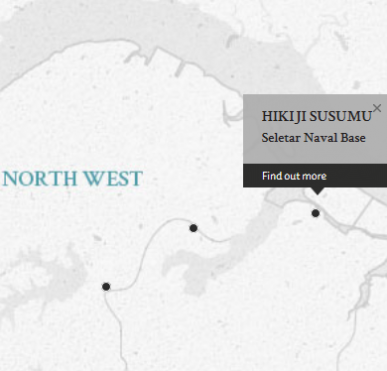 Hikiji was the Assistant Section leader attached to the antiaircraft unit of No.10 Naval Base Seletar in Singapore. He faced two charges concerning the execution of several American POWs, formerly crew of a B-29 in the first charge, and the execution of several Allied POWs who were crew of a submarine in the second charge. Hikiji initially confessed to the executions but later recanted his confession when giving evidence on oath. His defence counsel argued that he should have been given a lighter sentence as he served as a prosecution witness in subsequent trials for superiors, who received lighter sentences. Hikiji, Susumu. Petty Officer. From Japanese military. From Japan. Guilty. Death by hanging. Sentence confirmed. Barrett, A.L. Lieutenant Colonel. From British military. Court president. Solicitor. McKenzie, N.M. Major. From British military. Kennedy, J.R.T. Major. From British military. Wait, R.J. Major. From British military. Abe, Taro. LL.B. Barrister at Law Supreme Court of Tokyo. Healy, J.T. Captain. From British Military.